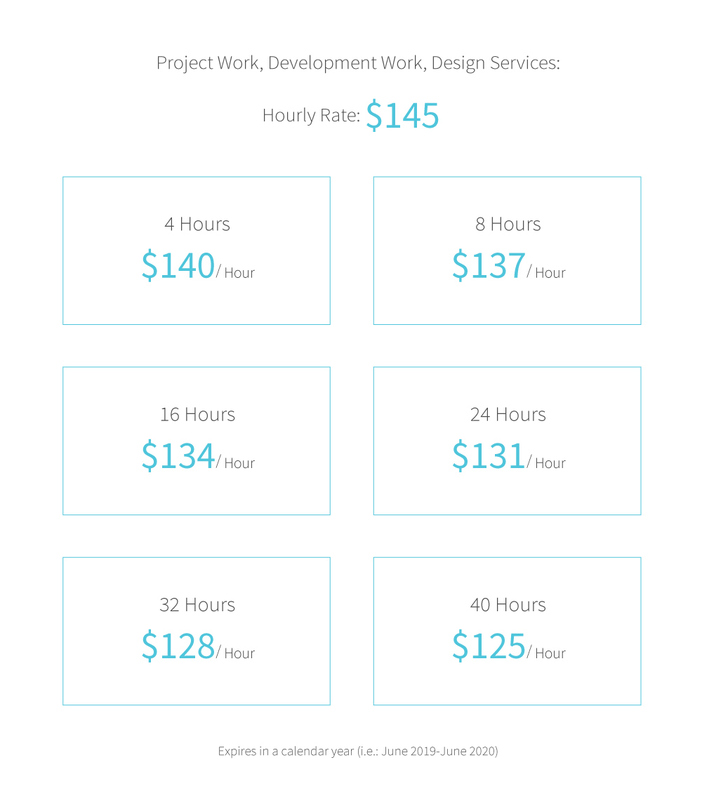 Interested in having a web firm on-call at an affordable rate? AS Creative can provide banks of hours at reduced rates. These can be used as needed for one year after they’re purchased.